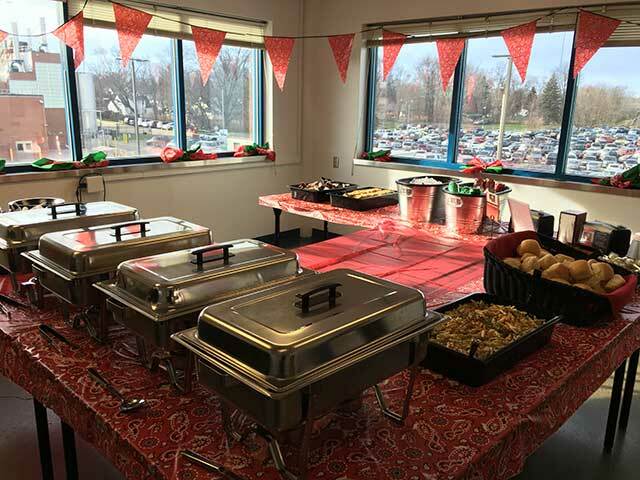 We are the perfect choice for pig roasts, corporate events, company picnics, family gatherings, holidays, weddings, graduations, and tailgate parties in Grand Rapids, Holland, and all of the West Michigan area. Our crew has catered to group of 50 – 3,000 people. We have catered many barn weddings at amazing West Michigan venues. Our experienced staff can cater to the Grand Rapids area including Hudsonville, Jenison, Grandville, Cascade, Lowell & Rockford. Yummy cookies and brownies complete a picnic catering at Douglas Walker Park in Byron Center, Michigan. BBQ Dinner packages start at $8.99/person. Options include pork, chicken, brisket & ribs. 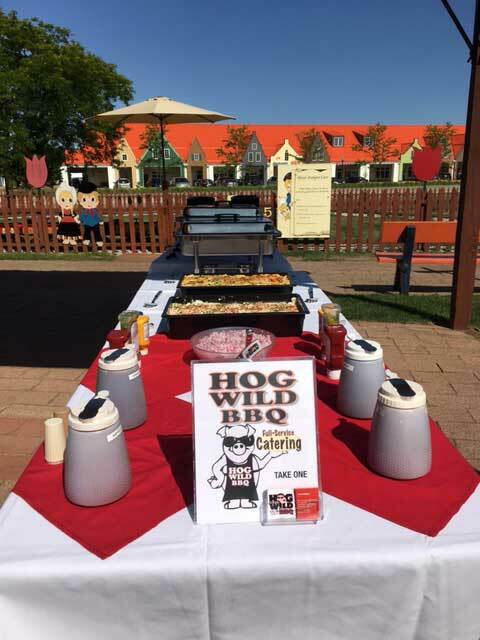 Your employees will love Hog Wild for your corporate events. We enjoy Catering in Grand Rapids, MI and the surrounding West Michigan area. Picnic Catering from 10 -3,000 people. Dutch Village in Holland MI makes a great venue. Back to school catering at Grand Rapids Christian Schools to kick of the school year – 1,300 happy guests. 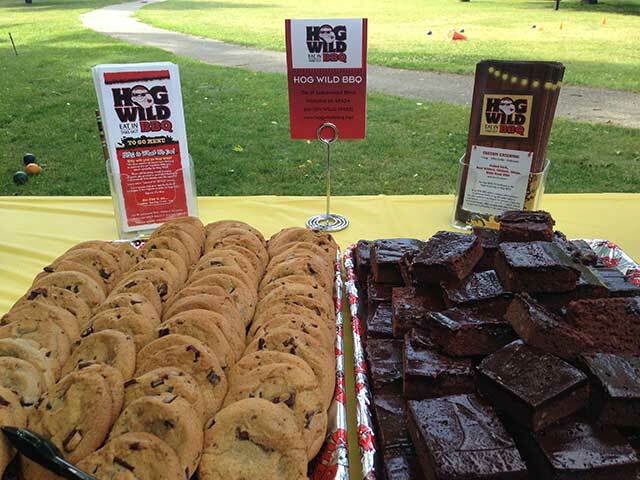 Hog Wild BBQ was a hit at John Ball Park Zoo in Grand Rapids for the Heinz summer picnic. 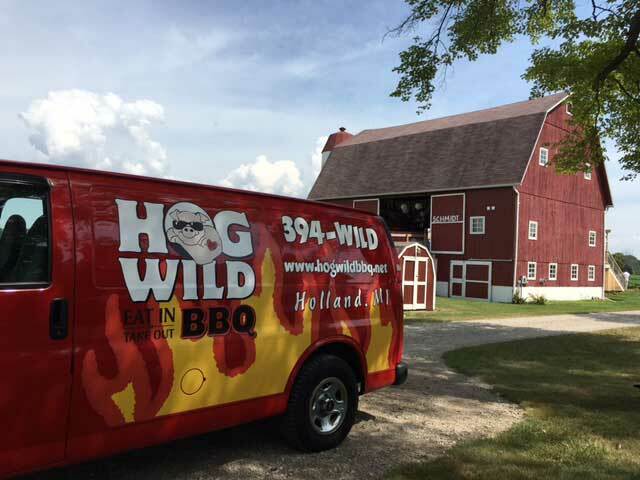 Hog Wild BBQ catered over 70 weddings in 2016. We travel to Holland, Grand Haven, Spring Lake, Allegan, Saugatuck & greater Grand Rapids area. Need to feed a bunch of hungry people? We have the perfect BBQ catering menu for your company’s event. Mead Johnson catered BBQ pork & chicken sandwiches in Zeeland, Michigan. No event is too big or small for Hog Wild. We love feeding employees in the West Michigan area. Start off your picnic catering with some appetizers – fruit, cheese & cracker trays, vegetable trays, meatballs, & wings. The Little Red Barn in Hudsonville is a great venue for that special day. Catered wedding packages starting at $12.99. Need an affordable wedding catering option? Check out Hog Wild BBQ for competitive pricing and outstanding food.